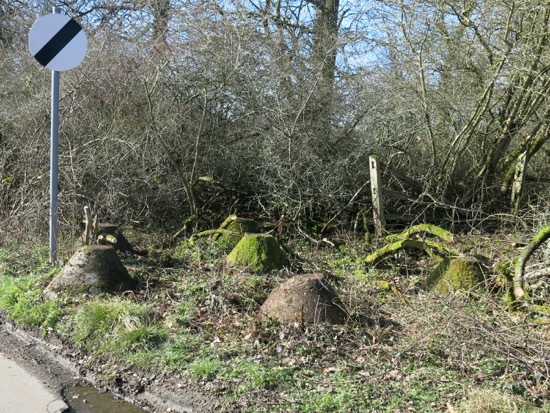 It was thought that there were half a dozen WWII tank traps buried in the hedgerow along Brookmans Park's Bradmore Lane, now more have been uncovered. A bit of digging in the brambles has revealed five more previously unrecorded tank traps sitting coated in moss deep in the undergrowth. The find, by local historian and archivist Peter Miller, sheds fresh light on the extent of the local wartime defences, referred to in a feature on our history site as Fortress Hertfordshire. 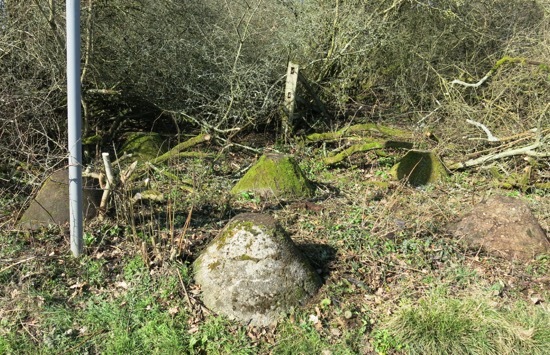 The new information has been added to an existing feature on the North Mymms History Project about the North Mymms tank traps. We have another feature on the site about the spigot mortar emplacements that have been found in Brookmans Park. Do you know of any WWII relics in the area? If you have any knowledge of other relics from WWII, please drop us a line by using the contact form at the bottom right of any page.